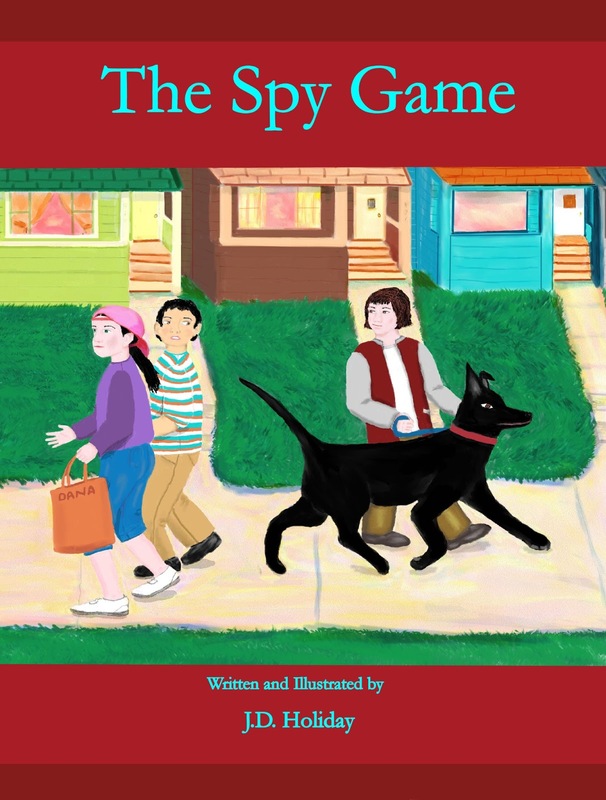 Today is Featured Friday and this weeks guest is children's author and illustrator J.D. 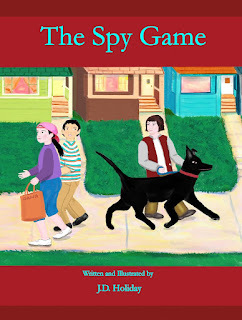 Holiday with her latest book The Spy Game. 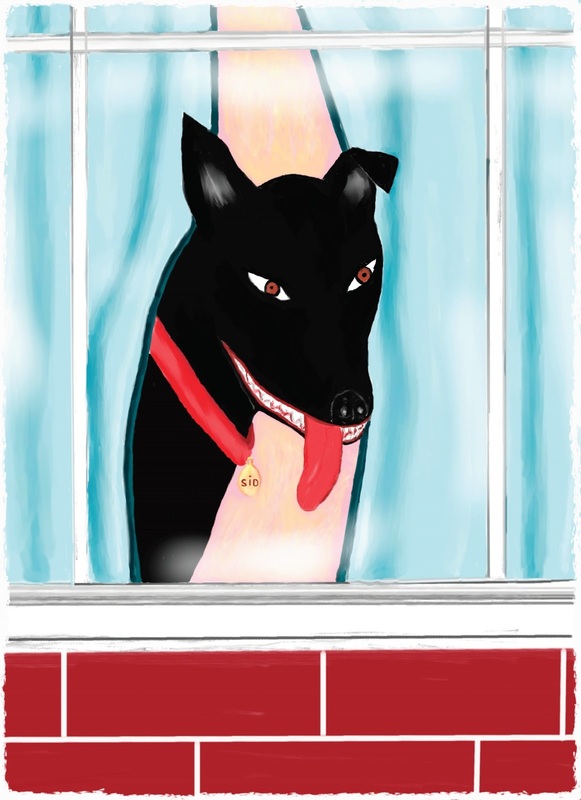 This story is based on a puppy my brother, Ike's dog, Sheeba had. He ask me to take this puppy he named, Sidney Reilly after a spy series he and I watched together and loved. At the time I had a dog and didn't think my older dog, Snoopy would be happy with a new addition. My brother said okay, but he felt sure this dog was for me and he kept it with that in mind. When the puppy was 11 months old, my brother, Ike died of a heart attack and Sidney came to me, I was wrong. Snoopy and Sidney got along in their own way. What are some of the things that have influenced/inspired your writing? I think reading great stories was one thing that influenced me. There were books that I said to myself, how I wish I had written that. I think I was also inspired or conditioned, in some way, by watching my dad write his stories. He would type every weekend at our dinning-room table on his manual typewriter all my childhood. I publish my own books using my own publishing company, Book Garden Publishing. After years of submitting to publishers I decide I was my publisher. Up to that point, though, I had some short stories and a Chapbook published, and had some editors interest in my stories, and I even had an agent for a time, but none of my children's books in print. Have you ever suffered from writer's block? If yes, how did you cure it? I would say yes I have, but it was really due to rejections of my stories. I would be down for a while. But, after some time past and I picked up my story again and read it, it would usually get me back on track again. Who or what inspires your characters and/or plots? As I said above, events from my childhood are a great source of stories and characters, though there is a little of me in most of my characters. How do you see the future of book publishing, both traditional, electronic and print on demand? I think there will always be books. Maybe it will come down to just the most famous stories, but I can't see books not being on shelves in stores, libraries and in home. Digital books are also here to stay. It is so easy to read on the go where with E-readers. As for traditional publishers, I think the are already starting to adapt and adding self-publishing printers and print services to their companies. Thank you, Jo. for having me on your blog today!